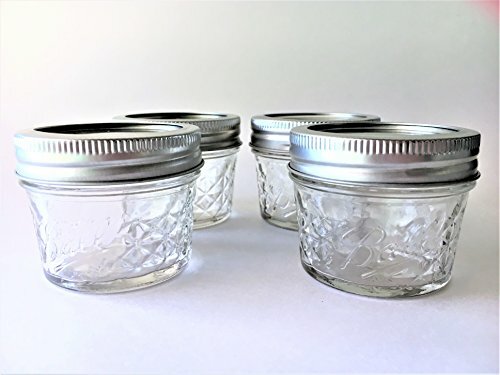 Mason Ball Jelly Jar Regular Mouth -4 oz. each- Set of 4 -Size: 2.75" W x 2.25" H The opening is 2.5". Great for jams and jellies, preserves, herbs etc.